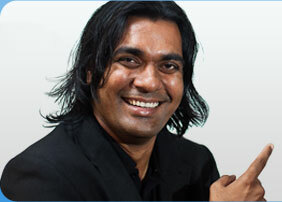 Professor Bala Balachandran is considered one of the top 10 management gurus of Indian origin in the United States. He represents the first wave of Indian scholars who moved to top U.S.-based business schools and have since contributed to the growing recognition of India as a resource for ideas and academic talent. Twenty-six years ago, Bala V Balachandran was the only Indian professor at the prestigious Kellogg Graduate School of Management in Chicago, where he has specialized in accounting information systems and decision sciences. He has been with Kellogg for the past 34 years and has contributed richly. He played an important part in the formation of the Indian School of Business, Hyderabad, and in the internationalization of MDI Gurgaon. Three years back he decided to set up his own B-school — the Great Lakes Institute of Management, in Chennai. He has worked with previous governments in various capacities and is an advisor on the present planning commission. He is on the board of directors of the Credit Rating Information Services of India and is working with people like Sam Pitroda to integrate information technology in states like Gujarat, Maharashta, Punjab and Rajasthan. He is also a consultant to the governments of Israel, Malaysia and Peru.